"257- Middle Falls from River Bed"
Wooden stairs along the Dehgayasoh Falls once allowed visitors to descend into the Portage gorge below the Middle Falls . 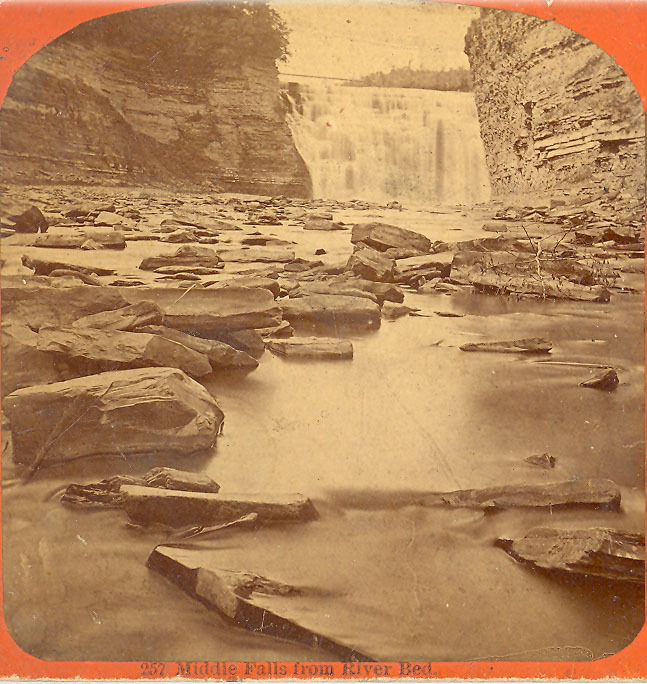 Sometime around 1880 photographer George Washburn captured a view of the Falls no longer accessible to modern Park visitors. If you look carefully, you can see the top of the Portage Iron Bridge.